Sneezes, coughs, runny noses, spills, and messes are facts of everyday life with children. And that's why it's never too soon to teach little ones about germs and ways to stay clean and healthy. 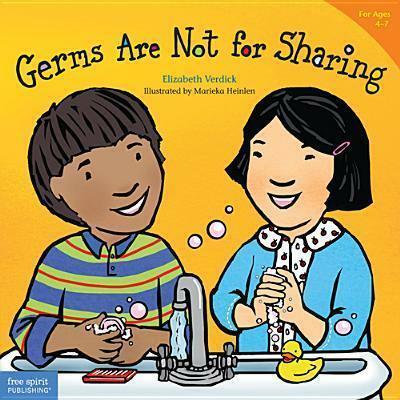 This book is a short course for kids on what germs are, what they do, and why it's so important to cover them up, block them from spreading, and wash them down the drain. Simple words complement warm, inviting, full-color illustrations that show real-life situations kids can relate to. A special section for adults includes ideas for discussion and activities. "Addresses an increasingly important subject in children's health. This book should be in every pediatrician's and family physician's waiting room and at every childcare center, preschool, and early elementary school."